If you want to feel confident camping and hiking on snow, this is where you start. For 2018, you can choose from 1-day snowshoe clinics, 2-day snow-camping overnights, or the all-inclusive, 3-day weekend outings depending on what you need to learn! 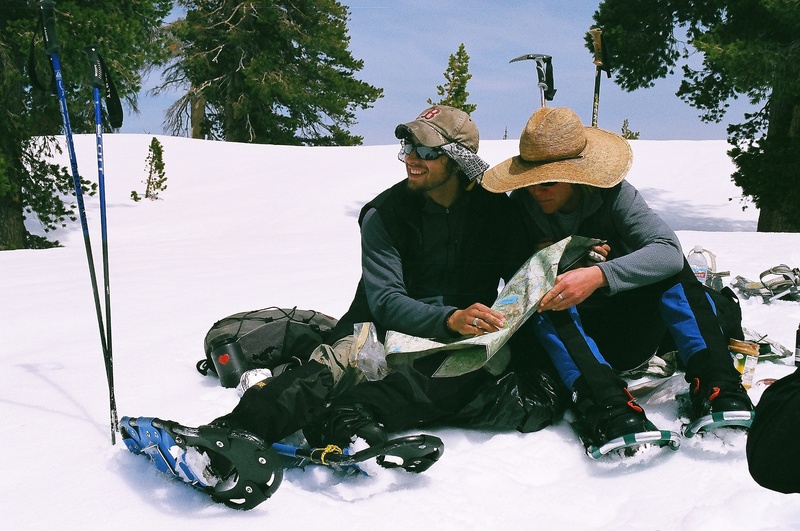 New for 2018, we have added a unique way to learn your snowshoeing safety skills by basing 2-days of instruction out of a historic Sierra lodge on Donner Summit! There will be daily classroom talks and outdoor skills clinics followed by lodge-cooked meals, a hot tub, and roaring fire for evening stories! For more information about Snow Basics Courses. 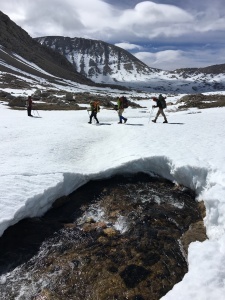 Ok, so you want to feel comfortable on springtime steep snow, be safe while crossing swollen creeks, and know that you’re confident at higher altitudes! For all current and future long-distance thru hikers (NoBo/SoBo PCT, CDT, and JMT) or anyone else who needs to learn their steep snow skills. 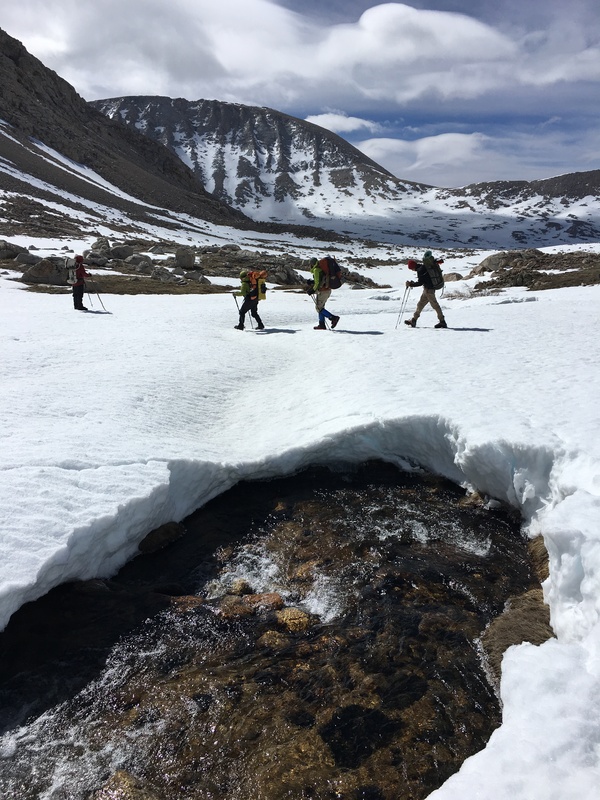 For 2018 we are offering a unique 1-day SAC Clinic taught right where early season backpackers and PCT thru hikers first enter the Sierra near Cottonwood Pass, at Chicken Spring Lake! For more information about Snow Advanced.